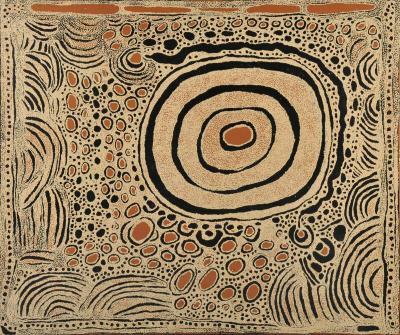 This painting depicts the site known as Pangkupirri, a holy place located near Tjukurrla, close to the Northern Territory / Western Australian border. 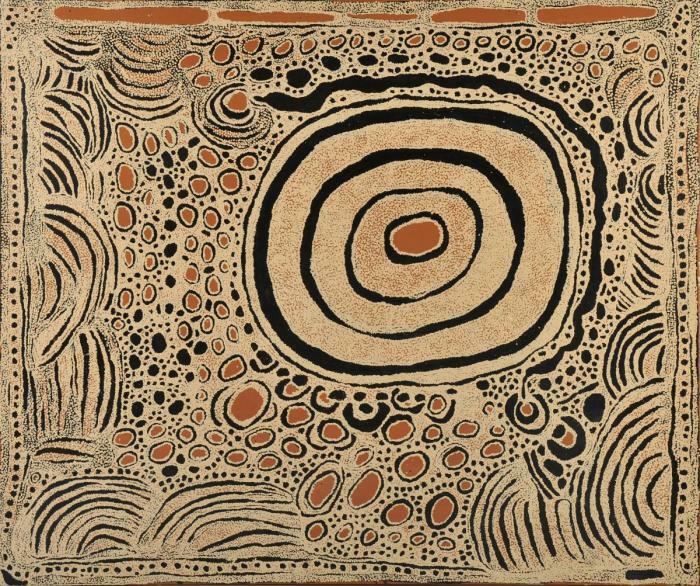 This painting also depicts the ‘Tjukurrpa’ story of water and Mrs. Bennett has also depicted the Pilkati (rainbow serpent) who created the sacred water holes in the Dreamtime. A group of women gathered near these sacred water holes and conducted ceremony, part of which was the preparation of a seed cake made from the wild bush tomato referred to as kumparapara. This is an important part of women’s initiation ceremony rituals. 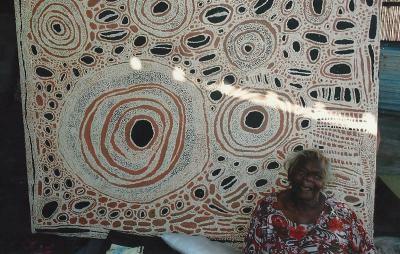 The roundel patterns represent the water holes and sacred sites located in Mr’s Bennett’s country. The linear designs depict aspects of the landscape including the sand dunes (tali) and rock escarpments (puli).